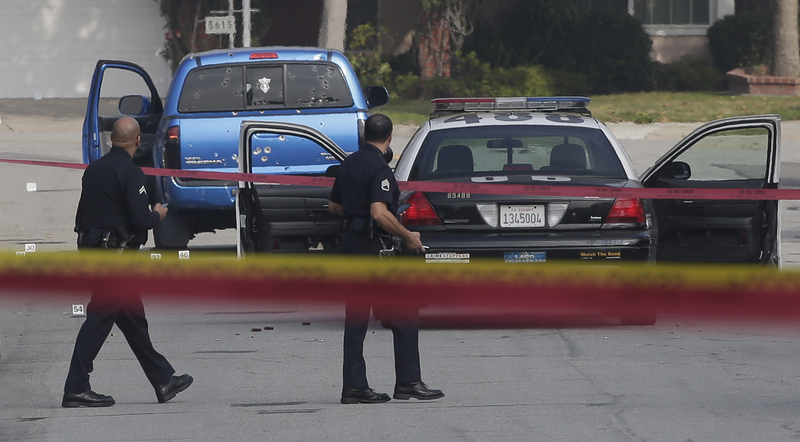 Christopher Dorner manhunt: Two innocent women shot by LAPD officers had "no warning"
LOS ANGELES The two women who were mistakenly shot by LAPD officers searching for triple murder suspect Christopher Dorner Thursday said they had no warning beforehand, the victims' lawyer told CBS Los Angeles. Attorney Glen Jonas said Maggie Carranza, 47, and her mother, 71-year-old Emma Hernandez, were delivering Los Angeles Times newspapers around 5:15 a.m. in Torrance when the officers opened fire on their vehicle. Jonas said, "There was no warning. There were no orders. No commands. Just gunshots." A patrol unit was reportedly assigned to protect the home of a high-ranking LAPD officer during the manhunt for 33-year-old Dorner, who is believed to have killed a Riverside cop Thursday and an Irvine couple Sunday. In a news conference, Police Chief Charlie Beck said the officers thought the women's royal blue Toyota Tacoma matched the description of Dorner's dark-colored Nissan pickup truck. "Tragically, we believe this was a case of mistaken identity by the officers," said Beck. Jonas finds that hard to believe. "The vehicle is a different color. The license plate doesn't match. There's nothing there for you to start shooting people. And even if they had the person in question... Mr. Dorner...you still have to give them an opportunity to get out. You can't just start administering street justice," said Jonas. Carranza suffered minor injuries to her hand from shattering glass. Hernandez, who was shot in the back, is in ICU at Harbor-UCLA Medical Center. KCAL9's Jeff Nguyen said she was listed in good condition.